Interest in growth theory has reawakened since the middle of the 1980s, but it is some time since a comparative exercise has been carried out. 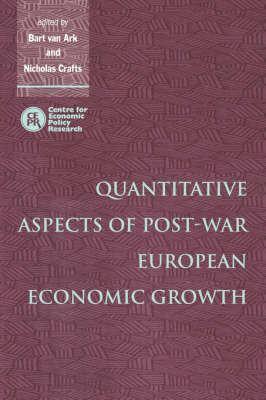 This volume explores the catch-up and convergence evidence of European growth on a cross-sectional basis, armed not only with alternative theoretical ideas, but also with the empirical evidence since 1950 on which to draw. Individual chapters cover macroeconomic accounts, national accounts by industry, measures of fixed capital stocks, technology indicators, human capital, total factor productivity and changes in trend rates of growth, and each assesses the pitfalls, benefits and implications of the methods used. The result is an authoritative quantitative account of the dimensions of European economic growth within an explicitly internationally comparative framework.